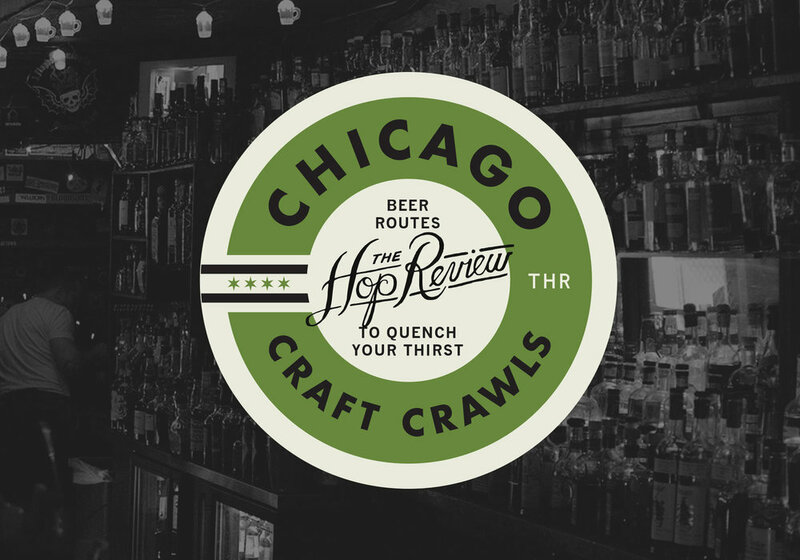 Our ninth Chicago Craft Crawl leads us to the North Side and some of the finest craft beer bars the city has to offer. In fact, with so many choices for a beer north of the Loop, it’s easy to get overwhelmed. You could easily spend an entire weekend exploring the breweries and taprooms spread across many beautiful a neighborhood. Unfortunately, you’d also spend a small fortune on cabs also, or get lost in the public transit matrix interlacing the city. Keep it simple, grab a CTA Ventra Card, and start with our Chicago Craft Crawl #9. The self-proclaimed "farm-to-tavern" restaurant is the perfect place to kick off this crawl, beginning in River North at the line's southern, non-Loop, end. We're suckers for quality food and beer pairings, and the staff at Farmhouse will be able to recommend the perfect compliment to your shrimp po'boy or pork chop. The space is small, but packs a quality beer list featuring nearly 30 rotating, mostly local, taps. Consider kicking off your crawl here with a boozy brunch. You're going to need to start early to complete this craft crawl. Start out with a pint that compliments your plate. With no great options right off Armitage, walk a bit north toward Fullerton, to Local Option. This place was on the craft beer wagon before most other places knew there was a wagon. 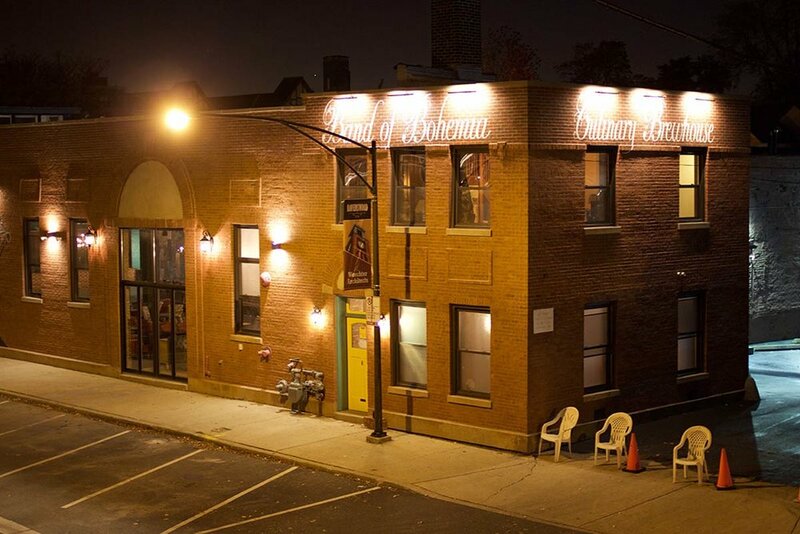 Tucked away in upscale Lincoln Park, don't let the booming metal music and dark ambiance put you off. Not only does this place pour some of the most sought after, hard to find beers in the city, they also brew their own fantastic beers (albeit off-site). Try any of many of their great brews–from sour to barrel-aged. Locals also know this as one of the best places in the city to find several Pipeworks and 3 Floyds beers on tap as well. The Red Lion Pub is a great change of pace in crowded and often rowdy portion of Lincoln Park's DePaul neighborhood. Reopened following several years of closure and renovation, the new and improved take on a British pub features a comfy, laid back atmosphere. You'll find comfy seating, vaulted ceilings, a library theme, and a long bar showcasing some of the best UK beer available this side of the pond. Bonus points for the large fireplace in the middle of the bar area, if you're doing this crawl in colder temperatures. Paddy Long's' Founder Pat Berger understands that bacon makes everything better—and yes, that most certainly includes beer. While they have several local options, this is a tried and true spot for several great Belgian offerings as well. Any of the beers from their impressive list can (and should) be paired with a variety of very diverse bacon offerings. Heck, these guys love bacon and beer so much they even host periodic pairing classes. This bar has an old school, charming feel and the friendly bar staff is always willing to make a recommendation or two. If you're a beer drinker in Chicago, you already know Sheffield's. Whether it's for a packed pitstop after a Cubs game or a quiet weekday pint after work on their legendary patio, this place always delivers. Featuring no less than three entirely separate bars with their own beer menus, you're guaranteed to find something new. If you and your friends are really feeling adventurous, consider the rare beer fridge—a selection of impossible-to-find bottles that always manages to make us say, "Wow, we've never seen a bottle of that before." When the minds behind DryHop Brewers decided to open a second brewery, they could have easily copied their successful Lakeview East formula. Instead, they created an entirely unique, farmhouse-driven brewery on the other side of their neighborhood. With the recent addition of "The Mothership," a one-of-a-kind brett-infusion fermentation technique, Corridor promises to pump out funky 'n weird beer to add to their already diverse list of house brews. Oh, and the food is fantastic as well. Enjoy. Bitter Pops may be home to one of the best priced, yet undiscovered draft lists in the city. A modern take on the old school "slashie," the shop features hundreds of to-go beers from around the world, as well as a small, 8-tap tasting room in the rear. The constantly rotating drafts are all priced the same–meaning you're likely to run into some remarkable deals on some usually higher-priced beers. If none of the drafts appeal to you, they also allow any single bottle from the store to be consumed in the tasting room. Order yourself: Samples from the always changing draft list. We're now on stop #10, at Northcenter's Begyle Brewing. Ya startin' to feel it? It would be easy to get off at the Irving Park "L" stop and waste away your day at all the amazing breweries and bars in the neighborhood, but that's another Craft Crawl in itself. But back to Begyle–the once growler-fill-only stop now showcases a beautiful taproom and has further established themselves as one of Chicago's major players. With a strong core lineup and rotating one-offs, the brewery that's tucked away on a quiet corner, shows no signs of slowing down. Oh, did we mention they have Skeeball!? Since its opening, Dovetail has certainly made an impression on the North Side. Brewing just five beers (as of this publication), every one is a showcase of traditional European styles. The taproom itself is bright and comfortable and sits one block behind Begyle. Featuring Chicago's only coolship (that we know of), they're brewing simple and clean beers that are perfectly to-style. Keep a close eye on Dovetail in the coming years as their stash of lambic barrels reach maturity and hit the market. Fountainhead has been a go-to for food and beer for years now and that doesn't look to be changing anytime soon. The main bar offers up dozens of beer options–and an even bigger selection of whiskey. The real star here though is their fantastic rooftop. While the beer list is a little smaller upstairs, it's no less satisfying. And nothing quite beats sitting in the sun, beer in hand. You won't feel like you're right above a busy intersection and, like all the places on our list, the staff is always willing to recommend your next brew. It's becoming a tough task to stand out in Chicago's crowded beer market, but Band of Bohemia does exactly that. Brewing possibly the city's most unique beer, the "culinary brewhouse" pairs each menu item to a specific house-brewed beer. You're going to try a few beers that may just 'not be your thing,' but we guarantee you'll also find a few that are unlike anything you've ever had before. It's not unlikely to see beer on their menu made from beets, mushrooms, apricots, and other atypical ingredients. The third iteration of the successful Jerry's brand, this is one solid beer bar (as well as your last call for the evening, if you're still with us at this point). With a huge number of taps and knowledgeable bar staff, the sheer number of options at Jerry's Lincoln Square is astounding—and we're not talking your average fare either. You're sure to see any number of sours from California, East Coast IPA's, and many other Midwestern gems. The bar also opens up onto the iconic Lincoln Square itself, giving it a true Chicago neighborhood vibe. *Removed: Bangers & Lace, Chicago Brauhaus, Finch Kitchen, Northdown Taproom (Closed). Photography by Jack Muldowney unless otherwise noted.